Born to surpass the demands of the world’s top XC athletes, the new Fourstroke 01 delivers the ultimate performance on the most demanding courses. Every element of its structure is crafted to optimize speed, save seconds, and keep riders ahead of the pack — the ultimate Cross Country race machine. 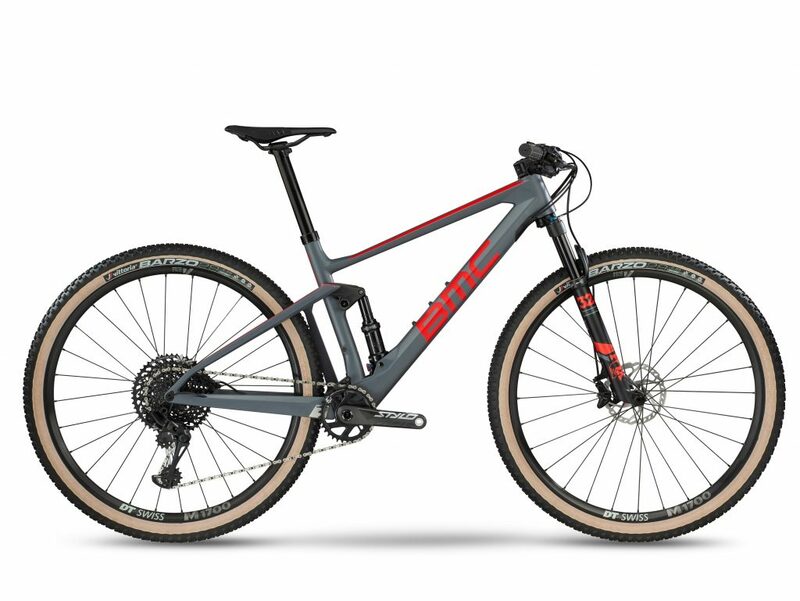 The holistic approach to look at the bike as an entire system culminated in the development of BMC’s fastest and most intuitive XC race bike ever. The all-new Race Application Dropper Seatpost (RAD) ensures that its fast and smooth adjustments maximize power and control whatever the gradient for a dynamic ride. The integrated dropper seatpost puts riders in the optimum position, whether attacking on the climbs or charging the descents. The revised Big Wheel Concept Race (BWC) geometry has evolved to embody the progressive riding style the XC athletes display on technical World Cup tracks. The wide- open head angle, long front-end, short chainstays, and innovative stem design allows riders to master all the technical challenges of today’s XC courses. When pedaling a low overall system weight plus a stiff bottom bracket and rear stay area allow for explosive accelerations. RAD (Race Application Dropper) is the world’s first integrated and most radical XC dropper post. A genius engineering solution conceptualized in the Impec Lab and driven by athletes’ need for modern XC descending performance packed into a lightweight system. RAD‘s intuitive two-position adjustment delivers the optimized riding position to handle the rigors of varying terrain. With an overall weight of only 345g, RAD shaves off more than 100g over a conventional dropper post design. This makes RAD one of the lightest dropper seatposts on the market. Peter Stämpfli, MTB Engineer at BMC Switzerland, explains: “Integrated design provides the freedom to move away from the round seatpost shape to address the limits of conventional seatpost design”. Contrary to a conventional round post, RAD is designed with an elliptic shape which makes it more stress resistant. The shape reduces weight while improving strength for reduced flex and uncompromised functionality under load. RAD features varying wall thicknesses to achieve the perfect balance of dealing with rider induced forces and keeping the weight at a minimum. RAD not only provides weight advantages, it also offers a clean visual appeal and exemplifies ultimate frame and component integration. 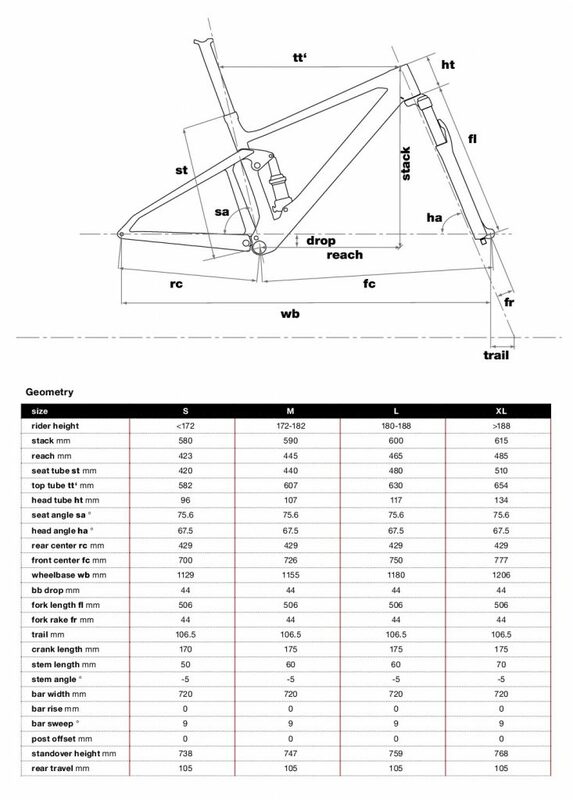 Saddle height adjustments are performed similarly to conventional systems, and do not require cutting the seatpost. Ninety millimeters of seat height range offer the perfect fit for every rider. RAD operates at low air pressures thanks to its oversized air chamber. This reduces force on the air seals for less maintenance. RAD is completely mechanical and has no hydraulic parts for super easy services. With 80mm of drop on all sizes, RAD delivers the optimum saddle height for every section of the race course. The multifaceted approach of BMC’s engineers position the rider for traction and control, creating the perfect cockpit for a bike that’s fast, fearless and nimble. BWC Race is designed to attack the fastest and steepest XC courses with its 67.5 ̊ head angle and a long front-end. 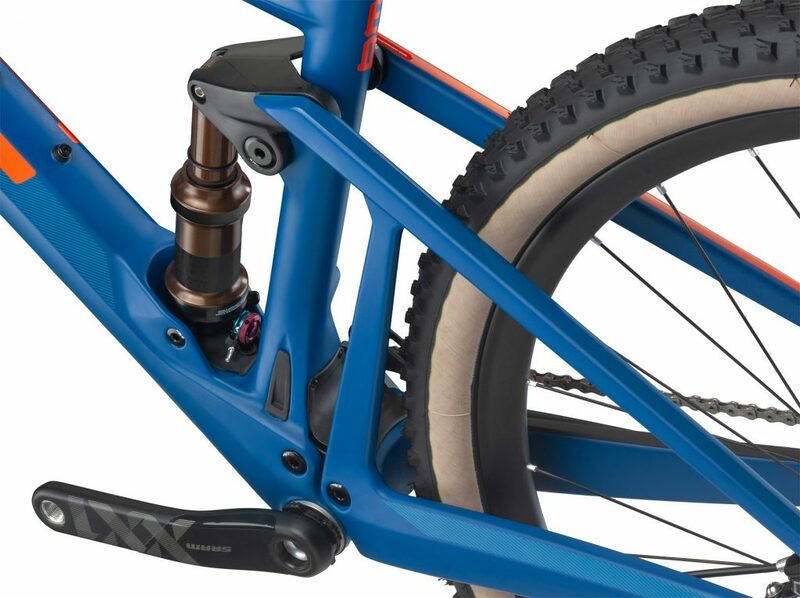 The 100mm-travel fork and 44mm offset delivers precise steering on switchbacks and technical sections. Climbing remains the essence of XC racing; and the Fourstroke 01 is updated with 429mm short chainstays to help the rider deliver power efficiently and while maintaining traction on technical sections. The steep 75.5 ̊ seat angle puts the rider in a more central position on the bike to attack steep sections with ideal weight distribution. The Fourstroke 01 is designed for unparalleled power transfer with a redesigned chassis that excels in torsional and bottom bracket stiffness. The refined APS (Advanced Pivot System) suspension tuned for modern XC racing delivers pedaling efficiency, traction, and control on demanding cross-country terrain. APS relies on two very short links moving in a concentric motion to create a rear wheel axle path that promotes a perfect balance, fully active braking performance, no pedal kickback, and small-bump sensitivity. The Fourstroke 01 has been revised from the ground up with incredible attention to detail. Fewer parts extend reliability and durability of the system and reduce overall weight, allowing for the addition of a dropper seatpost and still achieve an extremely competitive system weight of 2575g (including RAD seatpost and hardware). The optimized suspension hardware reduces the number of parts for improved reliability and saves 51g compared to the previous Fourstroke 01. Integrated headset cups show 20g less on the scale than external cups. The super-light thru-axle developed in the Impec Lab saves additional 9g and the all-new carbon upper link provides the stiffest connection between front triangle and swingarm for uncompromised suspension performance and weights 40g less than an alloy one. The integrated and lightweight fork stopper utilizes a straight downtube for front-end stiffness, while optimized cable routing and frame protection enhance the Fourstroke 01’s clean lines. The lower link mud protector delivers durability of the bearings. Protectors on the chainstay and a nice little chainguard make the bike race proof. The internal cable routing is completely guided inside the front triangle, lower link, and swingarm for quick and convenient cable maintenance. The new Fourstroke is available in the following models: Fourstroke 01 ONE, Fourstroke 01 TWO, Fourstroke 01 THREE and Fourstroke 01 Frameset and available in sizes S, M, L and XL across the entire range.